Browsing articles tagged with " sniper"
Keep it up man you are living the dream.﻿ How about a video where you shoot a .50 through several objects. Like a line of watermelons or something. Ever consider doing something on the versatility of the ar-10?﻿ i think it would be really cool showing it as a sniper rifle, assault rifle, and light machine gun. 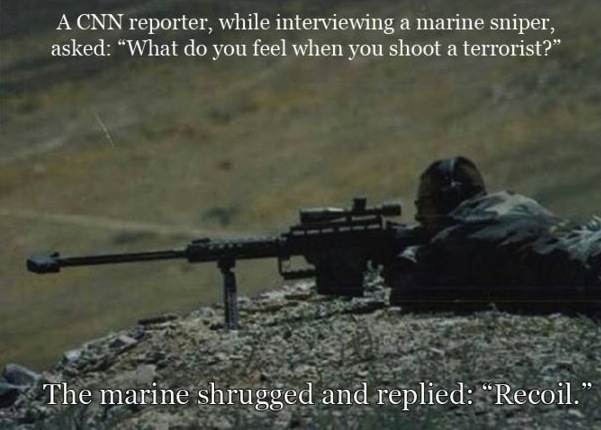 Shrapnel is going to get this guy one day. I hope he looks into protecting himself﻿ and the cameraman more.